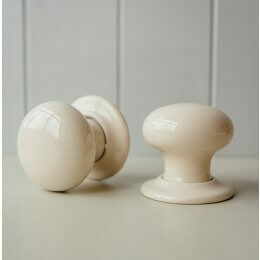 Our collection of door knobs include both traditional and contemporary styles in a range of materials. 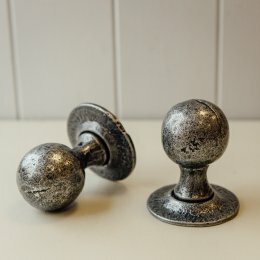 Browse our nickel or brass door knobs for the perfect finishing touch to your period home, or choose from our collection of wooden door knobs, ceramic, forged and beehive door knobs for an elegant, stylish design. 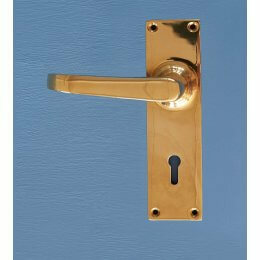 It's not unusual to have run out of budget by the time it comes to selecting door furniture. 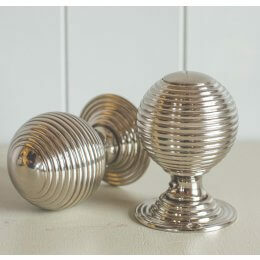 We strongly advise against this - the devil's in the detail as they say and this is so true when it comes to door knobs. As well as being a practical and essential accessory, let them be the jewel on the crown. They can greatly impact the finished look and feel of your home, helping to bring together different design elements and help to create a natural flow from one area to another. So whilst they must be functional, choose your style well, whilst ensuring the quality is of a high standard. 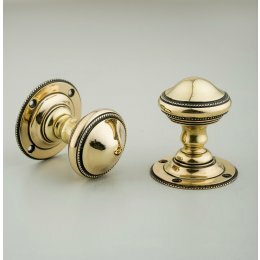 Our door knobs come in a wide range of materials, including brass, nickel, forged metal, wood, glass, and ceramic materials. 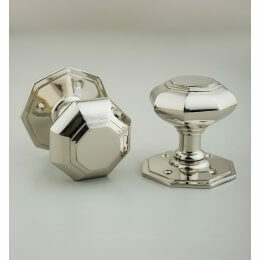 Depending on what you want, they can suit different interiors and allow you to create a specific look. 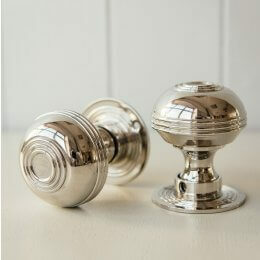 Door knobs can be a great way to highlight a period-specific home, accentuating a certain decade, era, or region. 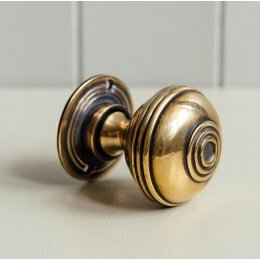 An alternative to a door knob is the lever handle. 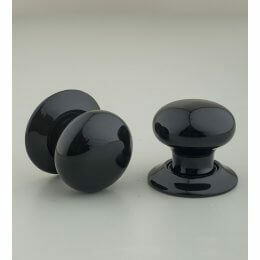 They can have a slightly more contemporary feel than a door knob and it may be that you prefer this type of grip. It's ersonal choice, and of course, aesthetically they look quite different. 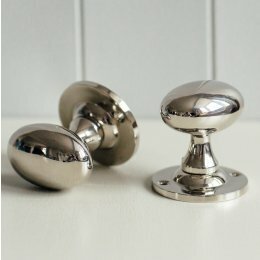 We have a range of different materials and styles to choose from. 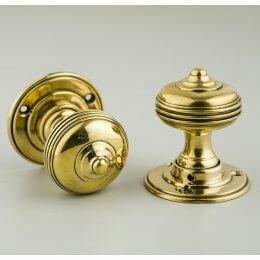 We carry brass, nickel, and forged metal, including pewter and aged brass or nickel. 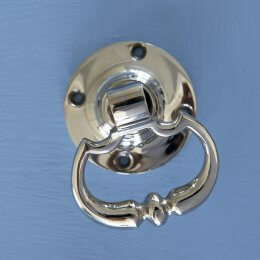 They also come in a variety of styles to suit the door and room you want. 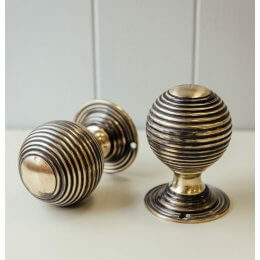 As with door knobs, the style can be used to highlight certain characteristics of your home. 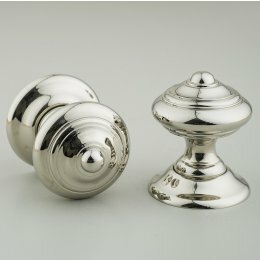 Door knobs have been used for decorative purpose for centuries, expanding on the types of materials used and the range of styles possible. Certain types were originally limited to certain regions of production; ceramic, for example, was originally produced and exported from either France or England. 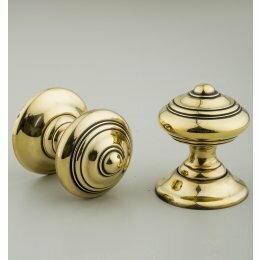 Many door knobs come with locking mechanisms. 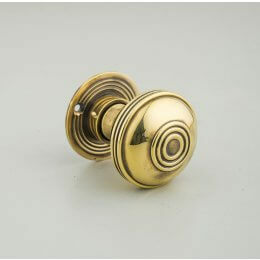 These can be used on bathroom doors or any other door you need to lock. 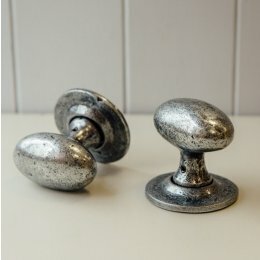 Casting is a process which involves pouring molten metal into a pre-made mold. By using different molds, various styles, shapes, and sizes can be made, offering a diverse range of products to consumers. Forging is a process in which metal is heated and forced into shaped dies under intense pressure. Forging creates a product of superior strength, toughness and reliability, offering a product that is 250% stronger than a cast product. It can also be relatively inexpensive, offering some of the best results. Because of the strength you get, this is one of the most commonly used processes. 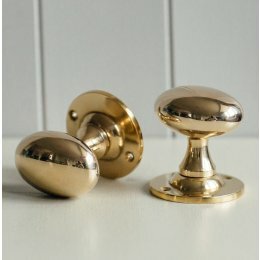 Although door knobs are often overlooked when we think about designing our homes and adding to the decor, people notice them and they can greatly enhance the appearance and charm of your property. It’s something that not only you - but your guests - will enjoy and appreciate on a regular basis. 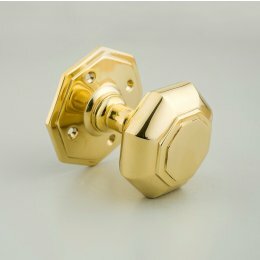 With all of the potential designs, styles, and patterns available, you’ll have no problem finding a door knob that suits your needs. 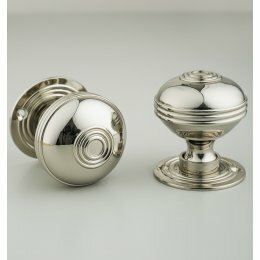 When buying, consider the decor just as much as the functionality in order to make sure you get the best door knobs for your home.